New Pack Price! — The Paleo Foods Co.
Our NEW pack sizes are now at the permanent price of £4.79 in Waitrose and on Ocado where you can shop our whole range! Our Grain-Free Granola is now better value per 100g (previously priced at £5.99) but with the same high quality ingredients and delicious recipe! The new 300g packs will be launching in other stockists from September so keep your eyes peeled. 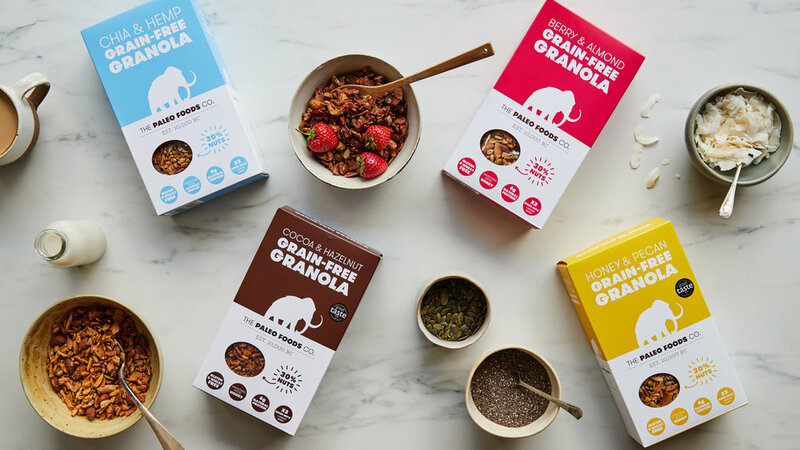 We hope that you love our new look and enjoy trying all four flavours of our unique, gluten-free and grain-free granola. Bringing some colour back into breakfast time! In News Tags gluten free, grain free, granola, nuts, seeds, coconut, new pakcs, waitrose, ocado, wholefoods, natural, paleo, paleo foods co.